Intro - Other than a small area N of the city of Salzburg the rest of the province is Alpine with some of the most beautiful mountain scenery in the world! Setting of the much beloved musical – ‘The Sound of Music’. This marvellous provinces and city of the same name will not disappoint! 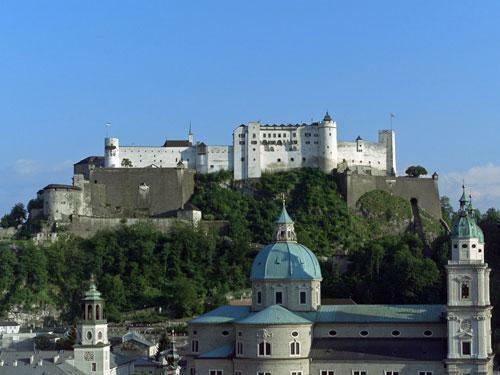 Salzburg History Information for Tourist– Salzburg was incorporated into Austria only in 1814 – it had always been part of the larger Holy Roman Empire and Austrian Territory, but was owned and administered by the Bishops of Salzburg. The province was owned for centuries by the Catholic Church as an ecclesiastical German State within the Holy Roman Empire and was ruled by the Prince Bishops. St. Rupert was the founder and 1st Bishop of the city of Salzburg. He settled in the ruins of the Roman town of – Juvavum, in 690 and founded the Abbey of St. Peters at the foot of the Moenchsberg. Salzburg is a well-known resort area. Internationally famous for it’s Music and Drama festival. Salzburg’s buildings blend harmoniously into one architectural jewel, making it one of the most attractive cities in the World – with the Austrian Alps in the background. The Residenz fountain constr. 1651-1661 at 15 m high is the tallest and most monumental Baroque Fountain north of the Alps. 17 C Dom/ Cathedral constructed in early Italian Baroque style. Considered among the most significant Baroque structures North of the Alps. Salzburg University founded in 1622, and the Salzburg University of Music and Dramatic Arts in 1914. One of Fischer von Erlach’s greatest works, the Kollegienkirche is one of most celebrated churches in all Austria Alter painting by Rottmayr 1694 -1707. Franciscan/ Franziskaner church (15-17 C) slender Gothic structure, elements from various architectural periods inc Baroque high alter by Fisher von Erlach. One of Michael Pacher’s masterpieces - Madonna with Child, set into alter. A 12 C marble lion from the earlier structure guards the stairway of the pulpit. Tourist Events / Hi-lights Information Guide - Salzburger Festspiele / Festival during the summer months attracts many tourist from around the world. Salzburg festival June – Sept . The province is host to Alpine, Nordic, and Ski-boarding World Cup Events. 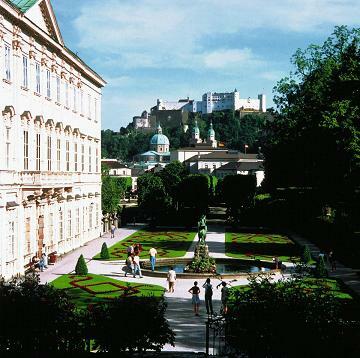 Planning a Salzburg TRIP ? Your ultimate self-guided/ self-driving tour for informed tourists. Travel planning made easy for Tourists. Available to purchase and download Pdf.